There are a multitude of things that make FMS campus unique and stand out from other business schools in the country and the world at large. The culture at this campus is unique and unparalleled. 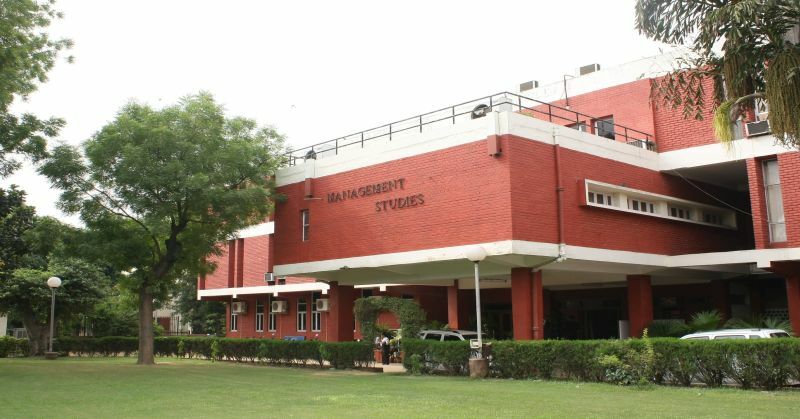 Situated in the heart of the Delhi University – the largest group of colleges in India gives FMS a cultural advantage that can’t be beaten by any other business school. The interactions, competitions and cultural activities of this huge campus can’t be put down into words. The small batch size of FMS give it a competitive advantage and enables it to focus on quality development. It also enables us to have a close knit community where each person know everybody personally. This puts networking to a whole new level which is a major competitive advantage. FMS has been a brand name for more than 6 decades. The alumni connections that this institute has built are enviable. There is no one experience that is memorable but the entire experience of induction at FMS that was unique for me. The 14-day rigorous process made us go through learnings of a lifetime. From knowledge sessions and assignments to guest lectures and all-nighters, the entire journey, even though it lasted 2 weeks, gave immense learnings, not just related to academics but also lessons in life like how to manage time and handle problems as they come head on. The interactions with peers through group assignments was the best way to get to know each other. Sessions by seniors with expertise in specific domains gave huge learnings to all. Working on assignments and case studies inculcated business acumen that could not have been developed elsewhere. These weeks were filled with tears and laughs, companionship and competition, fears and courage, and all these emotions together delivered the best experience inside a classroom environment that had ever been. I present to you the most versatile and crazy person in the batch. This mechanical engineer from the heart of the country – Madhya Pradesh is a cyclist, trekker and a football player. But this crazy amazing person is not limited to that. He has a masters degree in Tabla and has been running a football academy for past four years along with that. He has been training children in Tabla and running the academy not for profit. For earning money, this guy gives lessons to students on quantitative ability. He is the most sincere and simple guy I have came across, even though he has achieved much more than I could have. For these reasons, he is the crazy batchmate I adore. He easily completed a trip alone, something that people take months to plan within minutes of contemplation. His spontaneity is what inspires and his attitude towards life’s simplicity would be considered crazy by some. But it really is the best way at life. She has been an avid reading enthusiast and writes on her own blog as well as on quora. She has been working on a book since almost a year now. She has been winning debates on a national level. But the crazy part about Komal is that she was in an accident after which doctors said that she will never be able to walk again. This crazy fighter fought her way through, started strength training followed by trekking. With her will-power she has completed Bhimashankar, Kumar parvat and rajgad trek. Now she plans to go for Chadar trek soon. She took challenges as they came and shook them like a storm. This is what I call a crazy winning streak. Sophia is a caricaturist and she is amazing at it, to say the least, she believes in expressing herself through cartoons and portraits over words. This is something that she thinks to be the old school way of selling an idea that will never be out of style. She has been doing caricature design from since the past 7-8 years now and it has taught her the importance of details and presentation in any task. She recognized that in Chandigarh, her hometown, there are a lot of artists who did not have a platform to showcase what they had, what made them stand out of the crowd. This led her to the become the founder of Inkstorms which is community-based art spread over a period of one year. She has been able to sell the idea to 5 cities and reach an audience of 5000+. The kind of talent pool we she associated has ranged from photographers, shayars, slam poets, painters, singers, instrumentalists to dramatics teams and so on. It was one of its kind in Chandigarh and she feels really proud to have initiated it. Putting constant efforts towards her passion and not caring about other people is not very crazy but she is worth mentioning as a crazy-ily talented for being able to connect her passion with her career. The ABG company I would want to join is Idea Cellular. There are multiple reasons for that, which are, I am an electronics and communication engineering from Delhi Technological University and I understand the business model of telecom providers. I have also interned at Vodafone. This would be a competitive advantage for me since I understand the business model already. Also Idea Cellular is now merging with Vodafone India which presents huge opportunity for the company as well as for the employees. The joint entity would be the biggest mobile service provider in India. This presents a bright future for whoever gets a chance to work for Idea.